Get your INTERIOR Signs Quoted Today...It's FREE! Contact our Interior Sign experts Today! A quality interior sign reflects your brand identity. Quality interior signs do this in a positive way. Crafting the perfect interior signs can be a confusing process. We will help guide you through this process. We will help you choose the right size, the right materials and the right design. Then we will professionally craft your sign. Installation services are also available. 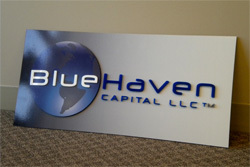 Call an interior sign expert today! (630) 289-7082.